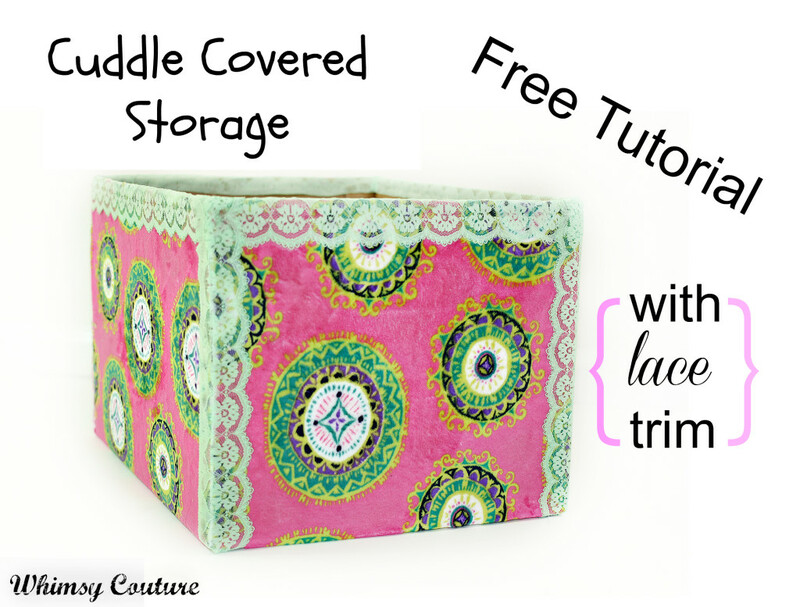 Looking for cute storage solutions? I was lucky to use some of Shannon Fabrics Cuddle fabric to make this fast project for you! 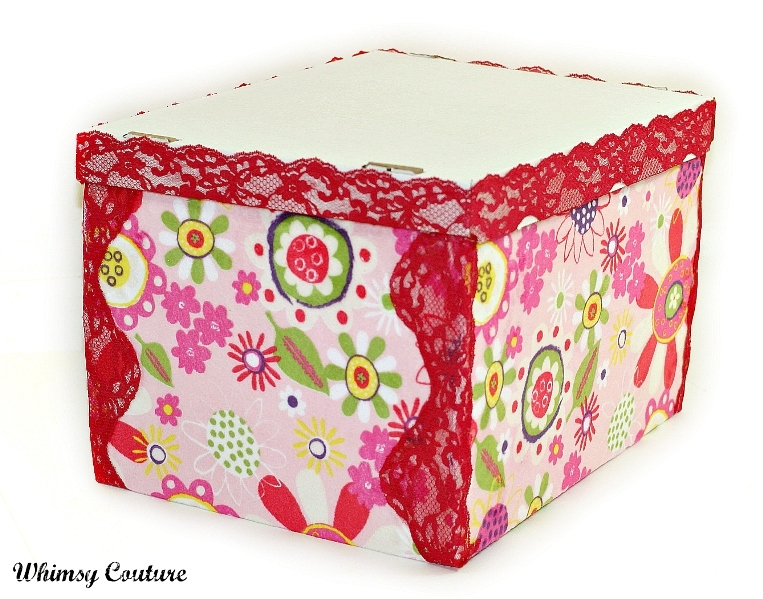 All you need a cardboard box, Cuddle fabric, some lace and spray/hot glue!